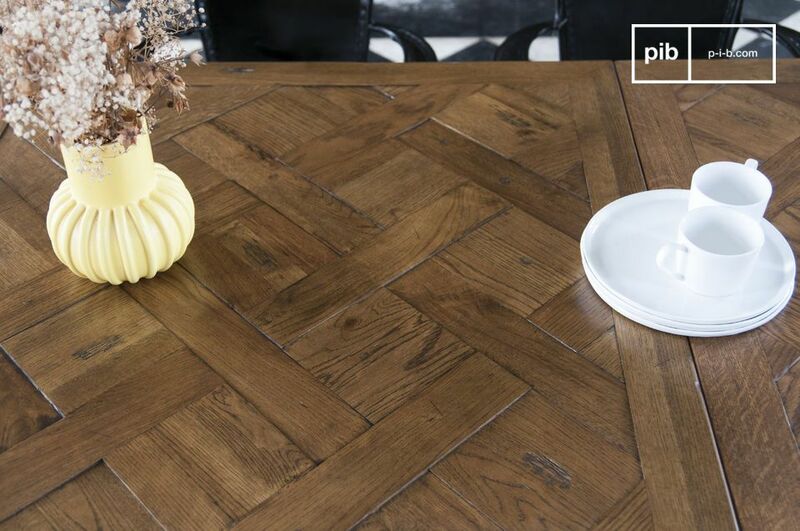 With its impressive length of more than 270 centimetres and its exceptional table top, the Queens industrial table is an ideal furniture to welcome your family in a warm and charming atmosphere. 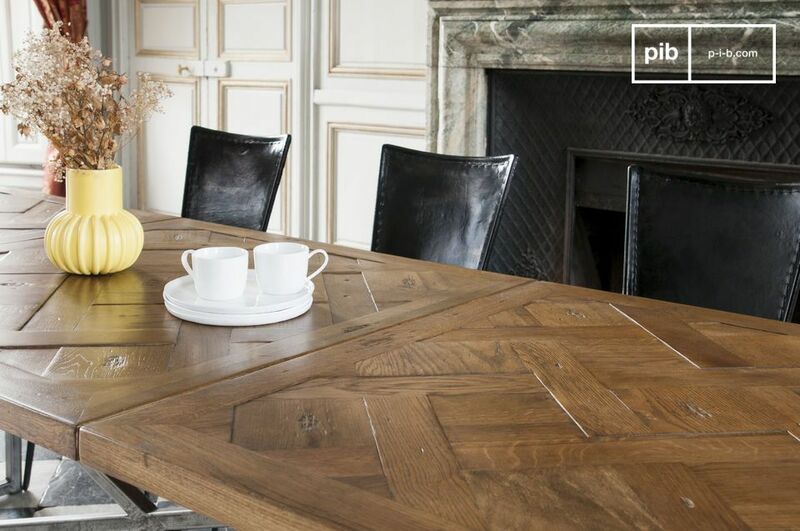 The key to its remarkable design comes from its special construction: the table top is made of old solid oak floorboards which are hand-assembled. 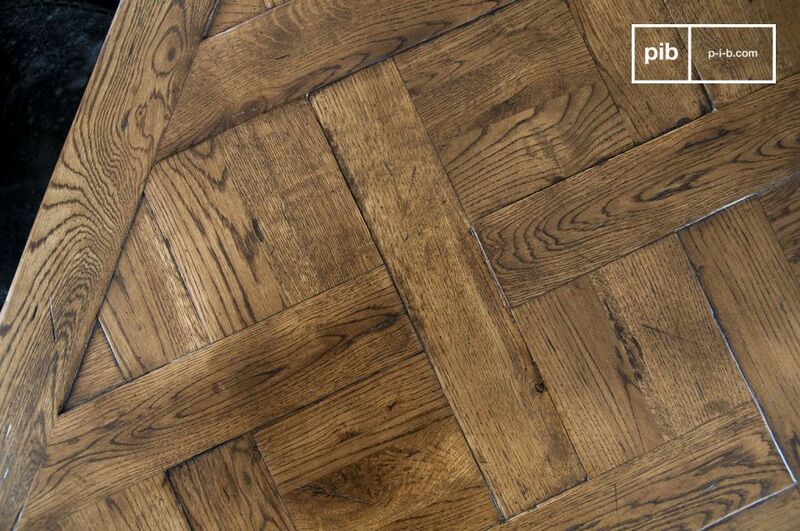 The choice of this material is aesthetic and robust and at the same time it guarantees rigidity and a unique style. 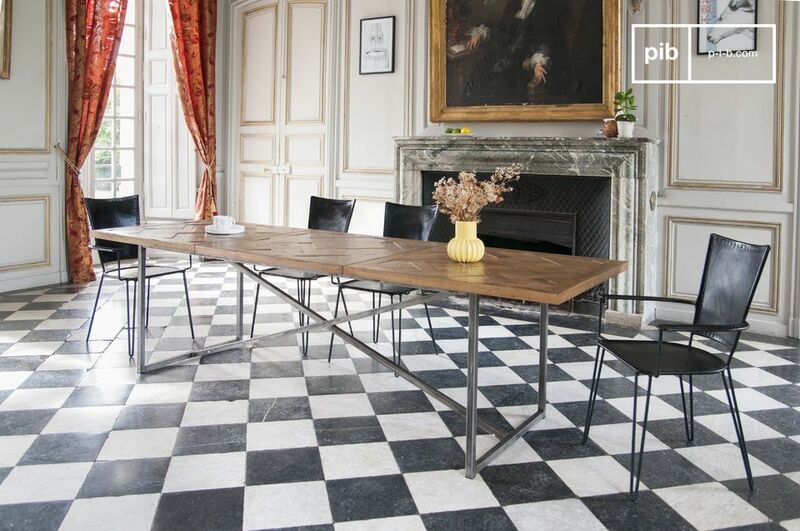 The table fits in both loft and more classical interiors, in a bohemian countryside style. 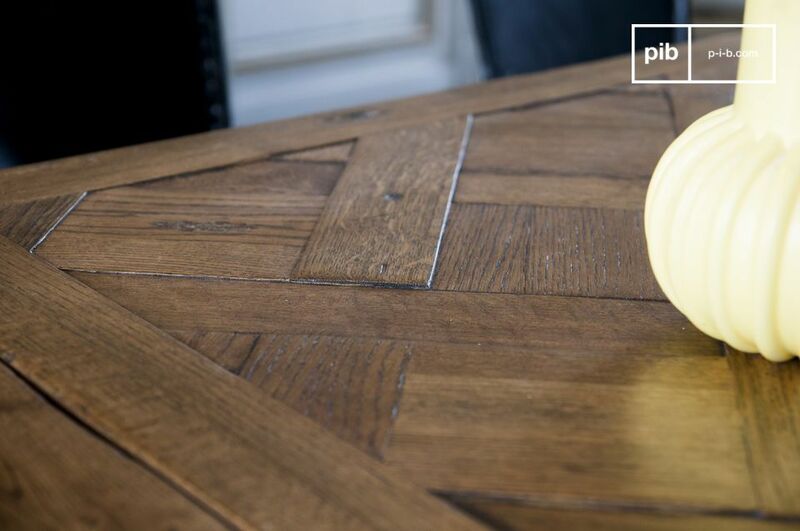 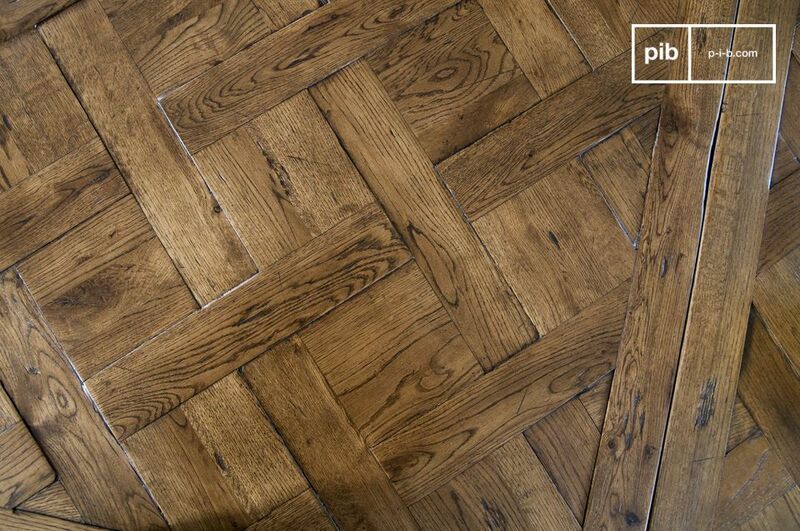 The varnish protects the wood and facilitates maintenance: a simple sponge and your table will be cleaned. 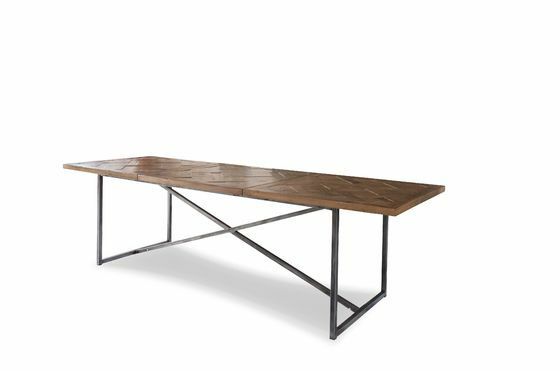 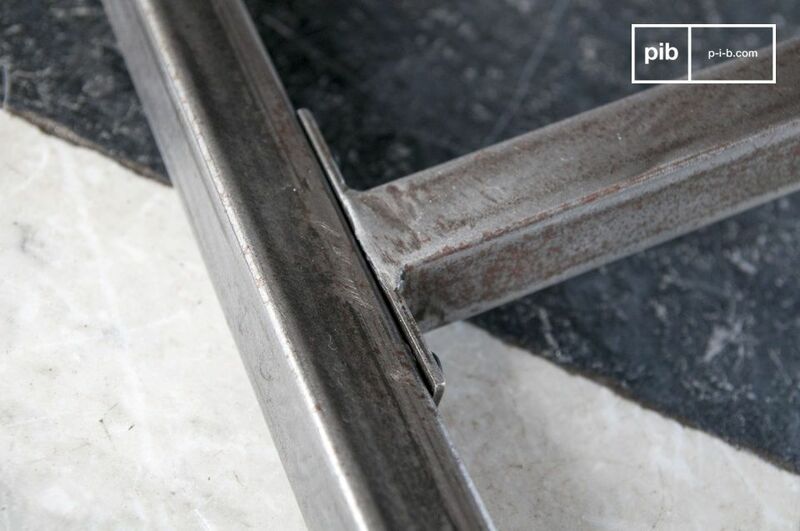 The feet are made out of metal, with a raw finish that recalls the industrial origins of this atypical table. 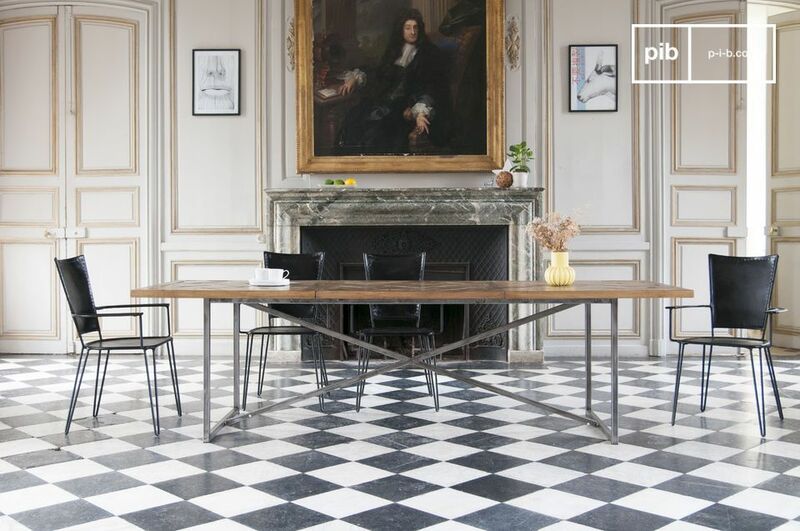 In the living room, you can combine it with metal chairs to reinforce the vintage industrial look, solid wood chairs for a countryside atmosphere, or even combining it with contemporary chairs for an aesthetic contrast.